In view of the extraordinary high amount of PUFAs in the sperm plasma membranes and the extremely low concentration of antioxidants available in the male germ cell itself, ROS can trigger serious damage to various sperm functions, including motility or DNA integrity. However, ROS do not deteriorate sperm functions in an isolated manner, because ROS have direct and indirect influence on the whole sperm cell. 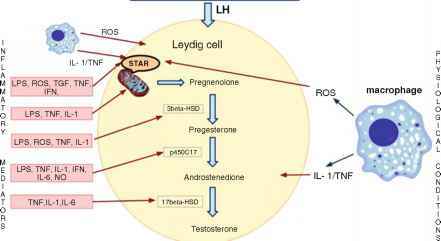 Therefore, oxidative stress has been established as a major ethiological cause of male infertility. The causes for seminal oxidative stress are manifold and among these varicocele (18.1%) and male genital tract infections (35%) are the most frequent [24, 58]. Both causes, particularly infections, are potentially correctable using appropriate antibiotic and anti-inflammatory treatment to relieve the consequences of the infection, obstruction of the excurrent genital ducts . However, for the treatment of varicoceles contradictory data have been published.